Hand #115: François Tosques raised to 825,000 under the gun and Sung Joo Hyun moved all in for 2.09 million in the small blind. Christopher Staats got out of the way in the big blind and Tosques tossed in a chip to call. The flop came , and Tosques rail called for "Black, black, black." The turn was the and Erwann Pecheux, who has joined the French rail, yelled: "That's the best black in the deck!" 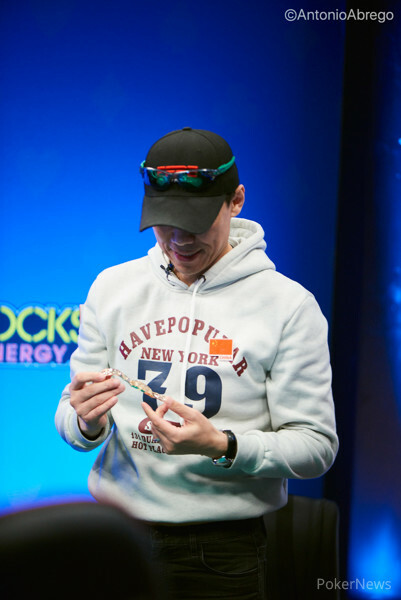 The on the river was safe as Hyun missed his flopped flush draw. 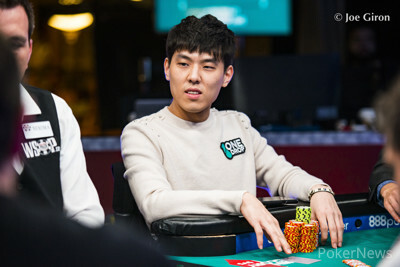 Hyun finished in fourth place, earning him $189,098 for his deep run.